UNCG Campus Activities and Programs – known as “CAP” by Spartans – works closely with students to host a variety of fun events throughout the year. UNCG has 17 athletic teams that compete at the Division I level, and admission to home games is free for students. Campus is just one mile away from the city’s downtown. It’s the perfect place to take a study break and enjoy live music, good food, cultural events, museums and parks. Learn more about campus life and the surrounding area below. 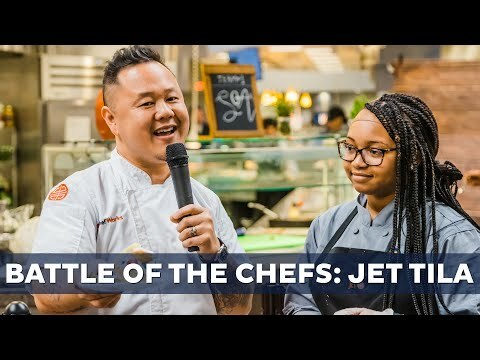 Jet Tila spent the day cooking with students, sharing his personal journey, and giving advice on entrepreneurship before emceeing the final Battle of the Chefs competition. 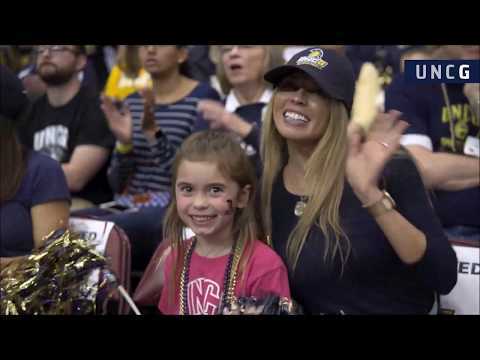 Thank you to all of the fans who supported UNCG Men's Basketball through its historic season. 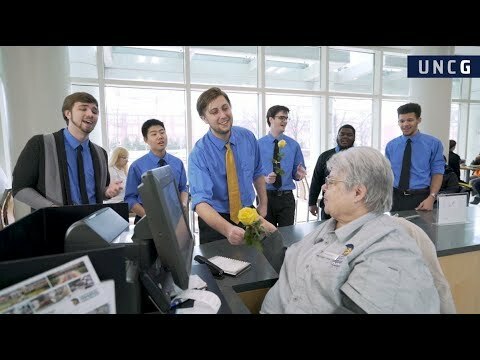 The UNCG Spartones took time to surprise students around campus with love songs and roses for this year's Valentine's Day. 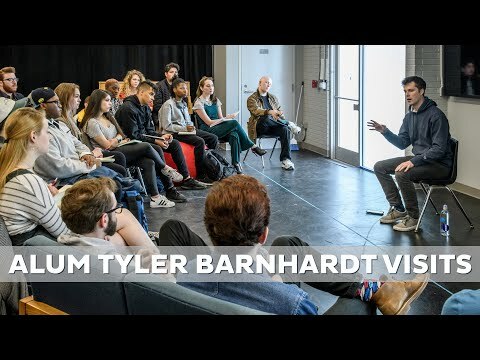 UNCG alumnus Tyler Barnhardt ’15 from the School of Theatre visited students this week to speak with them about his experiences in the real world being an actor since graduation. The calendar below provides a view of selected calendars and events that students may be interested in. View the public UNCG calendar. Visit the Dining Services website to find information for places to eat, hours of operation and check out available menus.